Arizona State University’s Lower Mekong Initiative (LMI) Young Scientist Program, funded by the U.S. State Department, aims to foster collaboration, knowledge sharing and the creation of a network of young scientists in the LMI countries: Cambodia, Laos, Myanmar, Thailand and Vietnam. The program organizes an annual competition where participants will be invited to submit project proposals before a reviewing committee for a chance to receive up to $15,000 in seed funding to implement their projects. Proposals are be selected for funding based on feasibility, innovation, impact and replicability. The winning team from 2018 is comprised of team members Tran Nguyen Phuong Lan from Vietnam, Bundit Buddhahai from Thailand, and Chanreaksmey Taking from Cambodia. Their project proposes to use rice husk ash (RHA), largely abundant in the Lower Mekong and currently a waste material (or sparingly used in low value-added applications) to synthesize zeolites, which are excellent adsorbents of heavy metal ions. 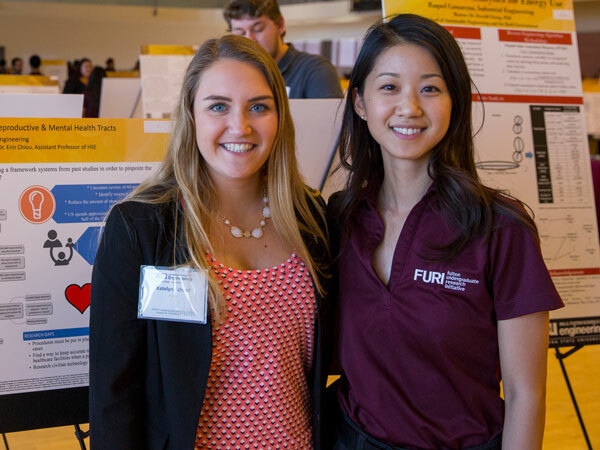 The team plans to develop a composite material using zeolites in a cellulose acetate matrix, with the goal of producing a reusable fiber for large-scale heavy metal removal in wastewater treatment processes. The project’s innovations include the source of the silica to produce zeolites (RHA is a highly abundant waste product in the Lower Mekong region), as well as the production of a low-cost composite material that could allow zeolites to be reused after the adsorption of heavy metals. This project has commercialization potential. 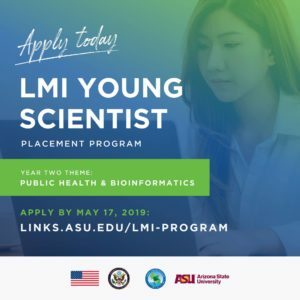 Graduate and doctoral students in fields related to public health and bioinformatics looking for seed funding for their innovations are encouraged to apply for the fully funded 2019 LMI Young Scientist program by Friday, May 17, 2019. Applicants must be citizens of Cambodia, Myanmar, Laos, Thailand or Vietnam. If selected, applicants who are currently living outside of the LMI countries will have to support their own travel to their home country, since the program will only cover regional travel. Learn more. Share this opportunity with friends and colleagues in the LMI region!